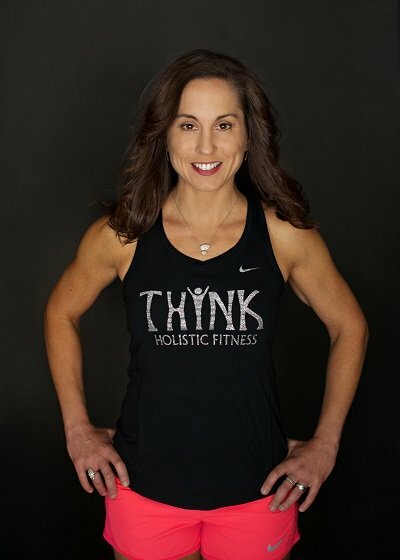 How can THINK Holistic Fitness Help You? When Heather was 39 years old she set a goal to lose 40 lbs. by the time she turned 40. That’s was a very ambitious goal for her lifestyle as a sales manager who travels A LOT for work and has a very demanding job. Heather also expressed her dislike for cardio and preferred to do as little as possible! 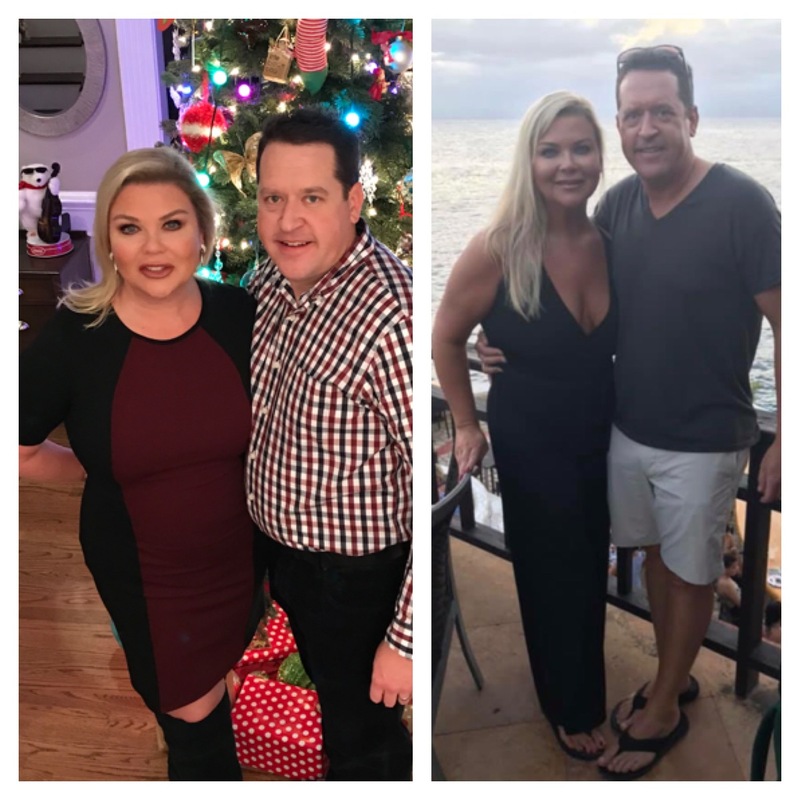 Well believe it or not – she was able to lose 40+ lbs. without doing extreme cardio workouts. We gave her solid nutrition guidelines to follow along with a workable nutrition system that gave her flexibility, ease and structure. Heather’s training program involved mostly strength training and postural reset exercises. We are so proud of Heather. She really stepped up to the plate and confronted her challenges head on. Her transformation is phenomenal and I have no doubt that she will meet her next set of goals which is to increase lean mass and get stronger while losing more bodyfat. I have been married for almost 17 years and we have 2 children. Hudson, 10 and Harper James,7. I am a sales manager for Monster Energy and I manage 16 states. My husband and I both travel with our careers, so we live by our calendars. Our kids are extremely active. Hudson is involved in football, baseball and run club, but his favorite sport is wrestling. He is on the NC State youth wrestling team. Harper James is involved in soccer, cheerleading and tumble. It seems we are never home! What led you to join THINK? I joined THINK because it was time for me to take control of my health! My family moved to NC 2 ½ years ago from Atlanta. I remember taking a stress test and checking off most of the boxes. Not only did we move, but the kids started new schools and my husband and I both started new jobs with new companies. I was so stressed and turned to food to try and cope with the stress. I literally did not work out for 1 1/2 years. I hated looking in the mirror, trying on clothes, but most importantly I had lost confidence. In my career I have to be in front of people every day. That is not easy when you do not want anyone looking at you. I wanted to find a place that I was comfortable, close to my home to eliminate excuses and supportive. What was your past dieting experience? What did you need to change about your dieting perspective? I am a habitual yo yo dieter. I grew up competing in pageants and that developed very unhealthy body image/realistic body goals. Any quick fix, I would try. With my job I travel often. That lead to airport food, fast food and occasionally gas station food. Not to mention entertaining customers at lengthy dinners. I needed to find a way to have a healthy relationship with food. Can you give some insight on your eating habits prior to joining THINK? My meals consisted of processed foods, cokes and sugar. I stopped watching what I would eat. Which was crazy because I always made sure my kids were eating good food. I was concerned about their health, but not my own. How have your eating habits and mindset changed? I feel that I am finally at peace with foods. Don’t get me wrong, I still eat things that I know I shouldn’t but at least now I am conscience of it and not just stuffing my face. I am focused on eating food for fuel. I want to eat food that is non- processed and going to give my body the energy that I need to attack all my tasks for the day. I am focused on smaller portions. I am not beating myself up for wanting dessert. I feel I have finally found moderation. I want all my family to eat healthy/clean, not just my kids. What have you come to realize or accept about the ways your lifestyle had to change? I have realized small changes add up. I can’t change everything at once, but I can tackle small changes that make a big difference. I have also found flavor in food again. I know that sounds crazy but eating clean you taste the freshness and the flavors. Also, if I have a coke (yes, it’s a guilty pleasure) they actually taste better now because they are a treat, not an all-day beverage. I have also noticed the small changes have influenced my family. We are leading a healthier lifestyle together! What are 3 major Non-Scale Victories? I found my hip bones again! Ha Ha! I knew they were in there somewhere. I went jean shopping and had to buy TWO SIZES SMALLER! I had to change my stitch fix profile to refllect my new body and clean out my closet! I found my confidence again! I have not felt like myself for a while now, but I am finding that person again. What is the change in your weight, clothes size and body composition? When I started this health journey at the beginning of 2017 I was 39. I secretly made a deal with myself 40 for 40. I turn 40 the end of the month and I weighed today 42lbs down! I haven’t been weighing because I did not want to focus on a number so it was a great surprise! I have lost 2 full clothing sizes! The best change was that my husband saw me working hard and he adjusted his eating and workout. He is now down 30lbs. In the past I would only focus on the scale number. I have a different outlook now. I want to continue to focus on my health. I don’t care about that number on the scale, I want to be healthy and I want to show/teach healthy habits to my kids. I want to feel confident in my clothes (plus buy new ones) and I want to feel confident in front of people again. I can honestly say I am on my way! I still have a lot of work physically, but mentally I think I have come a long way. I still have that glass of wine and that piece of chocolate but I am not going to let small indulgences derail me. I want to live and enjoy life. Everything in moderation! 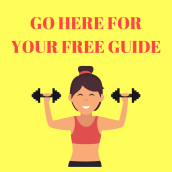 "Ladies, Lose the Bra Bulge and Build An Amazing Back"
"Eight Things Women Need To Do To Make Their Workouts Effective"
The T.H.I.N.K. Holistic Fitness mission is to teach, inspire and empower women to achieve and maintain optimal levels of health through the many phases of life and to live with VITALITY.